It's the signal that went out to all British armies across the world, informing troops that the conflict was over - and it currently hangs in a toilet in London. It was signed by Lt. 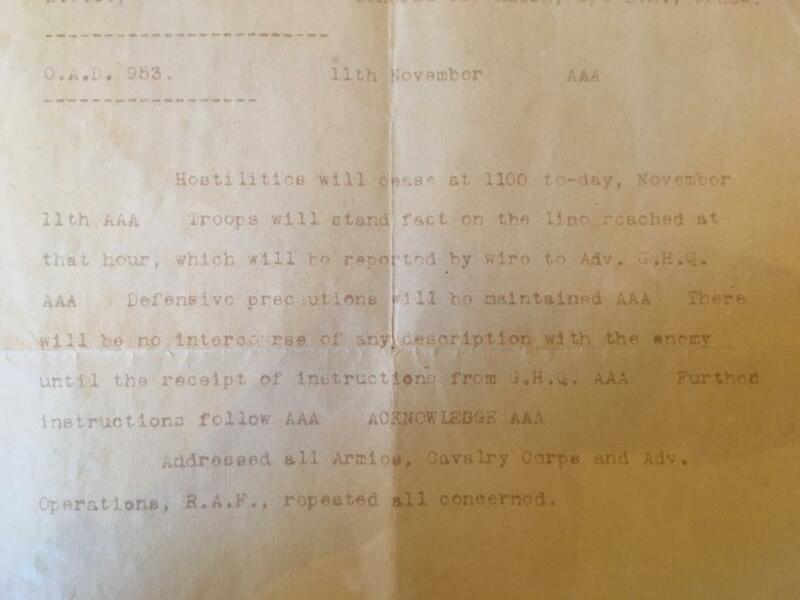 Colonel William Dobbie at 06:50 on November 11, 1918, and reads: "Hostilities will cease at 1100 to-day, November 11th AAA. Troops will stand fast on the line reached at that hour, which will be reported by wire to Adv. G.H.Q." One of few original copies of the document; it is owned by a descendant of the Lt. Colonel, having been passed down through the generations. Keeping a low profile, she told talkRADIO: "Whatever stage of life you are, it's the sort of document that opens your eyes, and you look at it and just go 'wow'." Lt. Colonel William Dobbie went on to become Governor of Malta during the Second World War, communicating with Prime Minister Winston Churchill as to what reinforcements were required to defend the strategically significant Mediterranean island. 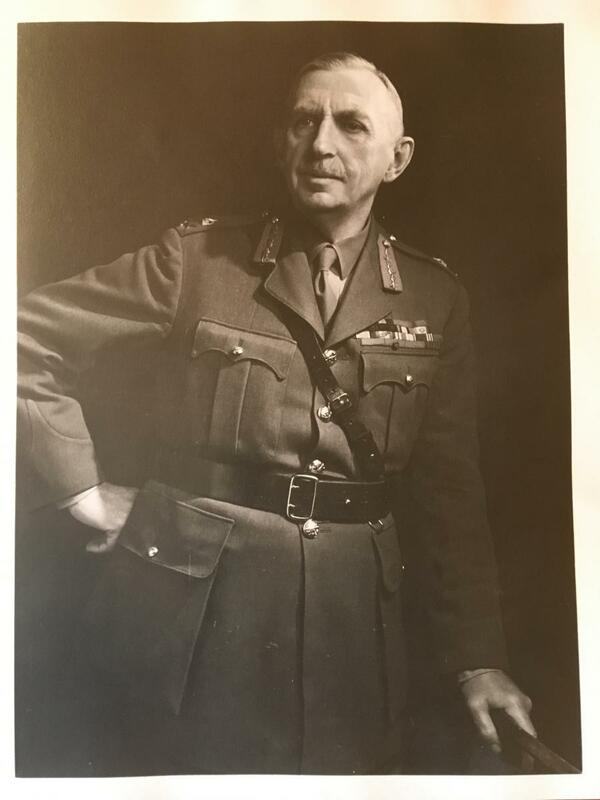 Churchill later described General Dobbie as a "Cromwellian figure...with a Bible in one hand and a sword in the other." It was during that time that the island of Malta was awarded the George Cross. Ink on the cease-fire telegram from 1918 is fading and it is kept on the wall of the downstairs WC partly to protect it from strong light. His descendant added: "Most people don't recognise it, but occasionally if we have people round we might point it out to them, and then it's rather weird because we all have to go to the loo to have a look at it!" The words "for Mother" are visible in pencil in the top right corner. Lt. Colonel Dobbie's descendant said: "He was aware that it was quite a momentous document he was signing. I guess we all like to impress our mums, and he was no different." His mother was later given the telegram, which is how it entered the family. 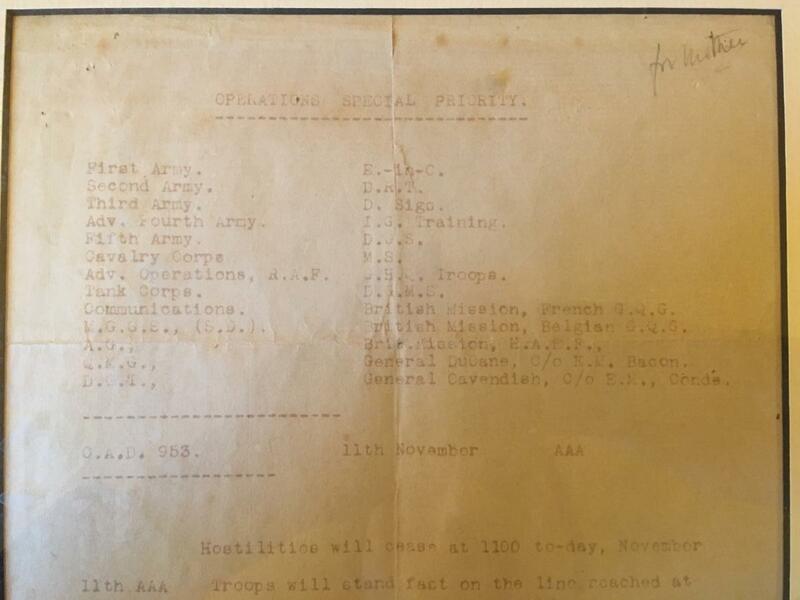 It is headed "Operational Special Priority" and lists among its intended recipients the First Army, Second Army, Third Army, Advanced Fourth Army, Fifth Army, Cavalry Corps, Advanced Operations RAF and Tank Corps. Lt. Colonel Dobbie's signature is the only signature on the historic paper because he was on duty at General Headquarters in the early hours of 11th November 1918. Had somebody else been on duty "it could of course have been under someone else's signature." So was it a simply a quirk of fate? "Lt. Colonel Dobbie was a God-fearing man and I think it's rather lovely that, under the providence of God, it went out under his signature."